Alberta’s energy sector will form a new committee to work closely with Rachel Notley and her NDP government, says the Canadian Association of Petroleum Producers. Alberta's energy sector will form a new committee to work closely with Rachel Notley and her NDP government, says the Canadian Association of Petroleum Producers. "Albertans voted for change and we are prepared to work with the new government to explore and embrace the best change possible," CAPP president Tim McMillan said in a news release. "CAPP will form an industry group to work with premier-elect Rachel Notley and her team on priorities to make the industry stronger, because a strong oil and gas industry makes for a strong Alberta." McMillan said the industry and the new NDP government share many common interests. "The best way to protect jobs and investment is through improved market access - building new pipeline, rail and marine transportation infrastructure," he said. "Improved market access and fiscal strength will allow Canada to reap the benefits of helping meet global energy needs through safe, responsible development and delivery of its natural resources." "Building strong relationships and working productively with industry is a priority for the premier-designate," said Cheryl Oates, spokeswoman for Notley. "And she's looking forward to doing that in a number of capacities, including working with industry groups." But Notley seems to have already ruled out Enbridge's proposed Northern Gateway pipeline, which would carry Alberta oil to the West Coast. In a recent interview, she told the Calgary Herald that Northern Gateway is "not the right decision." "I think there's just too much environmental sensitivity there and I think there's genuine concerns by the indigenous communities," she said. "But I think from an environmental point of view, it's a problem and I think B.C. 's made itself very clear on that." 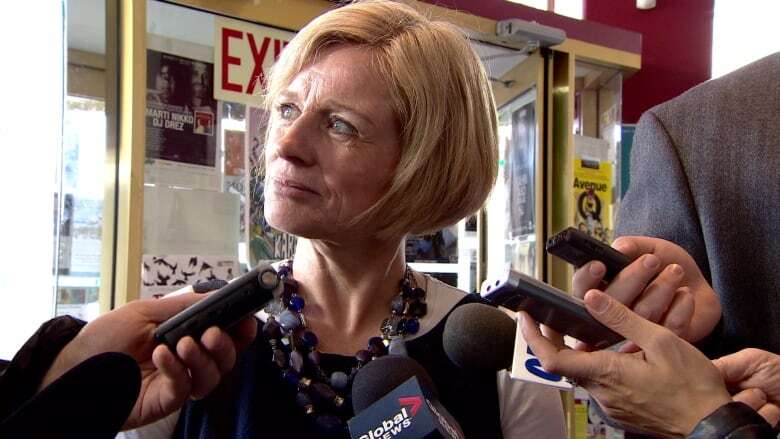 And in the run-up to the May 5 election, Notley said she saw merit in the proposed expansion of the Kinder Morgan TransMountain pipeline and in the Energy East pipeline to carry oil to New Brunswick. During a televised leaders' debate in late April, Notley said she would let the Keystone XL pipeline debate play itself out in the United States. That proposed pipeline would take oil from Alberta to refineries and ports on the Gulf Coast. McMillan said a 50-per-cent drop in global oil prices since last summer has had an impact on the industry across the country. Oil-and-gas industry capital investment is forecast to be down $23 billion, he said. Companies have already announced more than 4,500 layoffs, with an additional 23,000 jobs lost as a result of lower drilling activity. "To grow the oil and gas industry - creating more jobs and increasing public revenues to improve our quality of life - we must continue to keep Alberta and all of Canada attractive for oil and gas investment," McMillan said. CAPP member companies produce about 90 per cent of Canada's natural gas and crude oil.